Bloomberg Square Mile Relay Singapore 2013 | JustRunLah! Making its way from London, the Bloomberg Square Mile Relay hands over the baton to Singapore as the next global city to host this iconic race. On Thursday 24th October 2013, teams from around the Lion City will compete for a chance to win a sizeable donation to their charity of choice - as well as the all important bragging rights to last the year! The Bloomberg Square Mile Relay is not your ordinary running race. 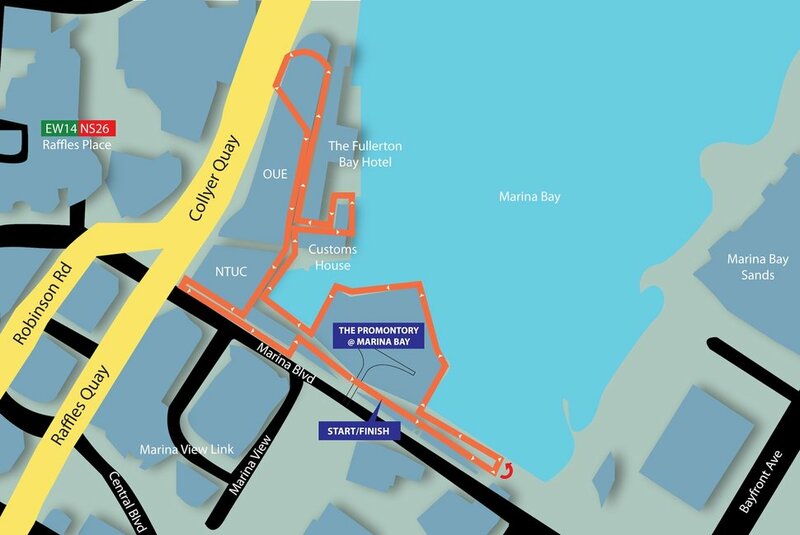 Each team has 10 runners, all of whom will run the stunning one-mile course from The Promontory at Marina Bay in a bid to clock the fastest time. The after-party includes a live DJ and hospitality for all runners, with spectators encouraged to join the fun. This really is a night not to be missed. Team places are limited, so sign up quickly to ensure your spot in this inaugural event.